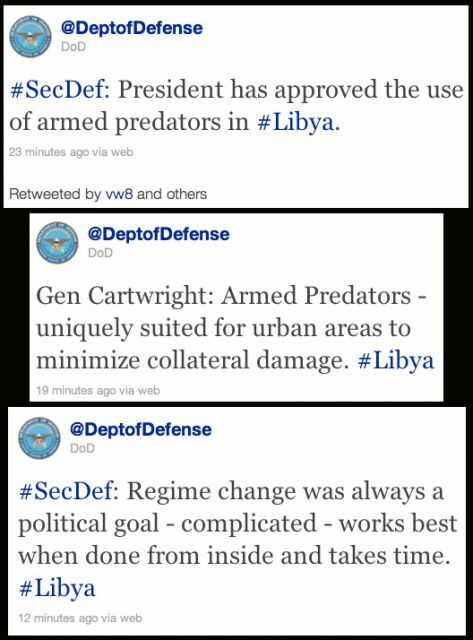 Pentagon tweets: Killer drones are headed to Libya to effect regime change. Reaction No. 1: Well, that didn’t take long. Reaction No. 2: What could go wrong?